Dated the 24th April 1936. 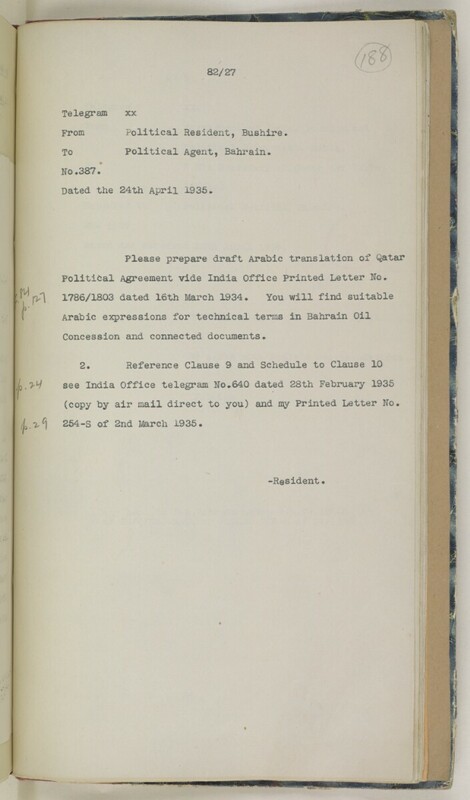 Political Agreement vide India Office The department of the British Government to which the Government of India reported between 1858 and 1947. The successor to the Court of Directors. Printed Letter No. (copy by air mail direct to you) and my Printed Letter No. 264-S of 2nd March 1936.